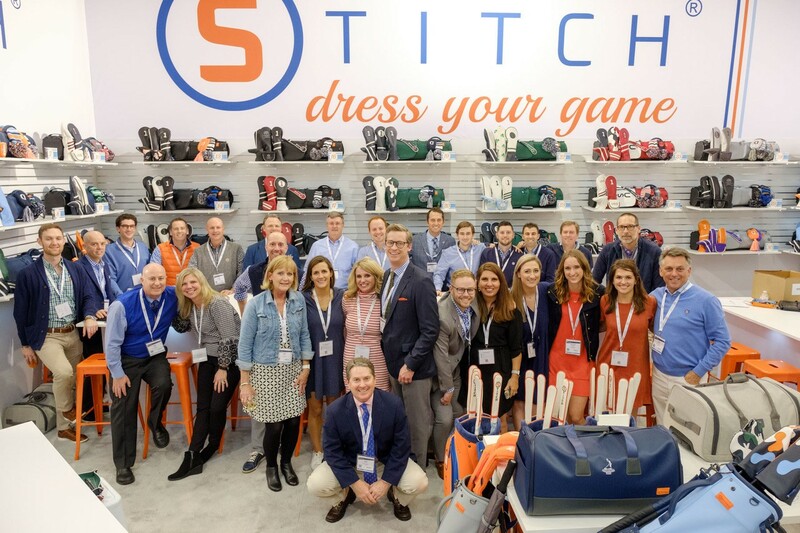 Perhaps the biggest buzz at this year’s PGA Merchandise Show was generated by Cary-based Stitch Golf. Of course, to even be mentioned in the PGA Show’s “best of” category in Orlando is impressive, considering that more than 1,000 exhibiting companies and brands display their wares to 40,000-plus industry professionals from some 90 countries on the Orange County Convention Center’s interactive floor. A golf accessory company with an original focus on stylish leather and knit head covers, along with accessories under the “Dress Your Game” hash tag, Stitch Golf arrived in Florida in late January having recently expanded into handsome, lightweight and detail-laden golf bags, innovative travel bags and equally stylish apparel. The company’s name came from founder Charlie Burgwyn’s precise attention to detail, “down to the last stitch.” Indeed, Stitch uses only high-quality material, including durable waterproof fabric, to pair with fashionable color schemes, design and personalization. In November, Stitch announced the acquisition of Fennec Golf, an upscale line of golf clothing built around tech and performance fabrics, tasteful color and a level of attention to detail. The design styles for Stitch’s head covers, bags and accessories meshed seamlessly with Fennec’s soft goods. Stitch’s first splash at the PGA Show came through sheer presence. Stitch and Fennec unveiled adjacent display booths of 2,100 square feet, accented by Stitch’s signature colors of blue, white and orange. Their booths remained among the busiest on the floor during the PGA Show’s three days. In addition, Stitch announced a partnership with Arnold Palmer Enterprises to introduce an exclusive line of products that pay tribute to the legendary golfer. Palmer’s family business selected Stitch to develop this exclusive line of tribute products because they felt Stitch shared Palmer’s attention to detail and commitment to quality. Late last year, Stitch began offering white leather head covers featuring The King’s iconic, multi-colored umbrella logo and racing stripes. Soon thereafter, the company released a set of black head covers, three colors of knit head covers, and special putter covers for blade and mallet models — designed for the millions of golfers worldwide who consider themselves members of “Arnie’s Army.” Throughout 2018, Stitch will introduce additional products featuring Palmer’s umbrella logo, including umbrellas, gloves and travel bags. King, who decades earlier coached Burgwyn’s high school golf team, originally came on board two years ago to help Stitch Golf achieve its goal of becoming known as more than a “leather head cover” company. A CEO who had sold an office products business to Staples and was seeking a new challenge, King started doing some consulting work — “donating time,” he says, “to see if there was a play” — which led to the formation of a group of golf-savvy partners and investors that helped Stitch recapitalize in late 2016. 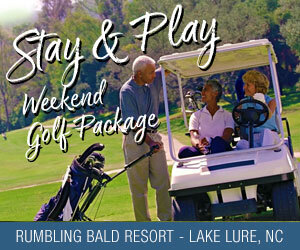 One of the partners, Chris Knott, founded the Peter Millar clothing brand in 2001. King and Knott, along with two other partners — Alex Sossaman and Rick Hopkins — have taken the business side of the company off Burgwyn’s plate and set in motion an ambitious plan. Stitch has established a connected sales team and has also made its mark on numerous professional tours worldwide. PGA Tour pros Brendon Todd, Carl Pettersson and Dylan Frittelli are carrying Stitch products, along with Scottish U.S. Amateur champion Richie Ramsay — while many college teams are using Stitch products as well. Currently, VP of Marketing Katherine Collins said Stitch Golf is focused on a trio of themes. “At Stitch we aim to help our customers ‘Dress Your Game’ by merchandising our line of products so you can easily put together items that not only match your bag and what is in it, but also match your style and personality. “We recently launched two new luxury travel bags that play off our motto ‘Arrive in Style’ and with our new apparel we are showing customers that we provide items that are suitable from ‘Work to Play,’” she said. Meanwhile, Burgwyn has been freed up to do what he has done best since launching his dream six years ago: Create. A former Class A PGA club professional and “a design, style and details wonk if there ever was one” according to one publication, Burgwyn regularly travels around Asia to discover new ideas. He recently demoed the Ultimate Garment Bag during an 18-day Asian voyage, visiting eight countries aboard 11 flights. King said Stitch grew 200 percent in 2017 over 2016 and expects to expand by another 600 percent in 2018.